I’m fascinated by the procedures that get the cast and crew of a touring production from one venue to another, the economics of tour buses, and the nature of life on the road. In recent years, I have become acquainted with many behind-the-scenes elements, owing to my little brother’s career as a swan wrangler and lion tamer on several famous tours. Whenever I see him, he is soon ranting about point-loads and scissor-lifts, and the problems inherent in getting your steel rigs to Paris when your lighting’s stuck in Amsterdam and your dancers are down the pub. So, yes, I am probably the only person in the world who regarded Waddell, Barnet and Berry’s This Business of Concert Promotion and Touring as a fun read. My interest is actually in what the Japanese are calling “events” – live shows featuring starlets or special guests, designed to be unpirateable. This includes film festivals and Hatsune Miku performances, and maybe even the occasional convention, but I’m ready to see how things look like to touring rock bands as well. I’m a sucker for insider business books, and this one is authored by the triumvirate of a production manager, Billboard’s executive director of content and programming, and a professor in the Department of Recording Industry at Middle Tennessee State. You can actually study Advanced Concert Promotion! I love it. Perhaps most interesting for me is a section on the impact of online ticketing, particularly the Ticketron software perfected by three boffins in Arizona, and sold to Ticketmaster in 1991. The first ever ticket sold on ticketmaster.com was an accident in 1996, when the company turned on its system to check for bugs, and saw that someone immediately used it to buy a ticket to Seattle Mariners game. Curious, they tracked the buyer down and asked him why he had bought a ticket online. “Yeah,” came the reply, “because I don’t like talking to people and I don’t like talking to you.” Then he hung up. A section at the back talks the reader through the hour-by-hour experience of different members of a rock band’s entourage, from the roadies to the support act, demonstrating how each experiences the day of performance in different ways, and with different bottlenecks and milestones. Sadly there’s no gossip or groupies, although one wonders wistfully about some of the likely questions on a Middle Tennessee State examination paper. 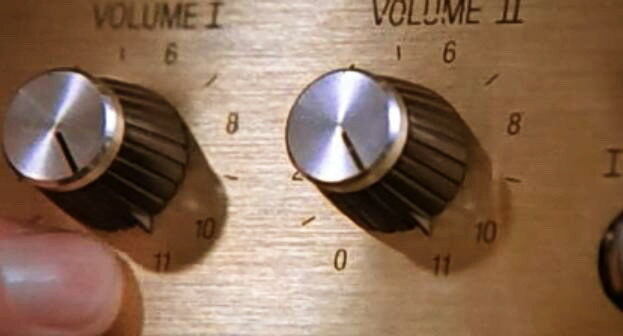 You’ll finish the book knowing the exact difference between an “arena” and a “theatre” (no mistakenly booking the EnormoDome for you) and won’t ever make the rookie error of buying rather than renting expensive, crash-prone sound systems to take on tour. And next time I see a guitarist smash his instrument on stage, I will always be wondering if he isn’t following this book’s advice, to cover up a broken string by doing something dramatic until his roadie can slip him a replacement. 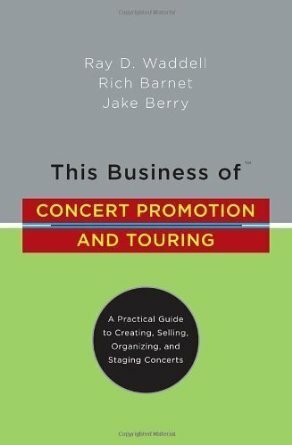 This Business of Concert Promotion: A Practical Guide to Creating Selling, Organizing and Staging Concerts, by Ray Waddell, Rich Barnet and Jake Berry, is out now from Billboard Books. This entry was posted in News and tagged Billboard, book reviews, books, reviews, This Business of Concert Promotion and Touring, touring by ixarette. Bookmark the permalink.